Dirty car filters reduce the amount of air that flows into the car's engine. When the amount of air in the engine is limited, the car doesn't spend the amount that it's supposed to and as a result, its performance goes down. Studies have consistently shown that cars with clean filters are by far more effective than those with dirty filters. Filters prevent foreign particles from getting access to the inside of the car's engine. Even when a small particle gets into the engine it can cause a lot of damage to the moving parts. The damage gets worse as more particles get into the engine. A clean car filter traps all the air debris ensuring that none gets into the engine. This protects your car from damage. Since the car and the engine aren't damaged, they last for a long time. Studies by experts show that clean car filters increase the car's efficiency by up to 14%. The reason for this is because there is plenty of clean air in the engine thus the car doesn't strain burning fuel. 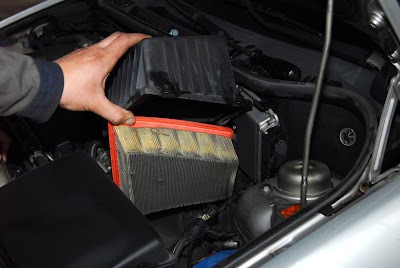 Due to the efficiency, you spend less money than when the car is running on a dirty air filter. Dirty filters reduce air flow to the engine thus affecting emission control systems. Faulty emission control systems result to an incorrect air-fuel mixture. When the fuel mixture is too much, it can result in engine deposits resulting to a lot of emissions. In addition to the high emissions, it's also common for the car to consume more fuel than it should. As you have seen, there are plenty of benefits that come with replacing your car filter. The cool thing with air filter replacement is that you can do it on your own. When replacing the filters, ensure that you replace them with identical ones designed for the exact match and model of car. Car filters come in different shapes, designs, and sizes; therefore, you should first remove the one in the car and buy a similar one that resembles it. For ideal results, ensure that you buy from a reputable store. There's no doubt that every vehicle depreciates in value with time. If you have been planning to sell the car in a few years and want to get a good deal, then you should not bring down the value of your car by not taking care of its appearance. A car which has not been maintained properly will hardly get any buyers. The bait for coaxing the buyer is how the car looks from inside and outside. Maintaining your car and keeping it in the best possible condition is surely important not to ensure just the longevity of the vehicle, but also to improve its sale-ability. And of course, who doesn't like to drive a nice looking car! Here's a list of things you need to look after to ensure your car stays in pristine condition. At least once or twice a month you need to wash your car properly. By doing that you can ensure that dirt is removed from the surface of the body & under the chassis and keeps it completely clean. Staining and rusting might occur if you fail to remove it on time. 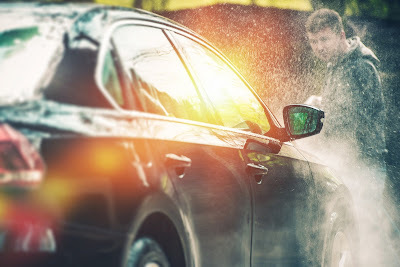 You need to keep in your mind that even heavy rains don't remove the contaminants off the car. It's better if pressure hose is used to wash the car. By using car wax, you can ensure that a layer of protection is created which protects the car from harsh external elements such as rain, dead bugs, and bird droppings and avoids corrosion or rusting. The contaminants get stuck in the wax can be easily washed from the car. The breakdown of the molecular structure of paint can also be prevented with the help of car wax as it stops harsh exposure to UV rays and oxygen. When iron is exposed for a long period of time to moisture & oxygen then rusting occurs. Due to salt in the air, especially in coastal areas a car's under body can rust faster. During heavy rains and while driving through puddles your car's under body comes into contact with water. The best care for this problem can only be taken by professional and expert mechanics at a renowned auto repair shop. If you don't have any dents or scratches on your car, then there's no problem in considering yourself as lucky. Not many can boast of this miracle because no matter how much you try to protect your beloved car, it will get some scratches or dents here and there. If you have dents and scratches on your car and if the paint is peeled off during the impact then the car's body is susceptible to rusting. It's recommended that you should visit a renowned car body repair center to get dents and scratches fixed. Alex's Automotive's First Annual Car Show! We welcome everyone to register! The car show is open to ALL car enthusiasts, Classic, Late Model, Exotic, Hot Rod, Street Rod, Race Car, and all who want to show off their car. The 2017 car show is a celebration of automobiles and all those who enjoy them! DOWNLOAD FLYER for Details and to Register Your Car! With a basic hydraulic system, brakes are designed to use kinetic energy to slow down a moving vehicle. Whether driving at slow speeds or high, by pushing down on your brake pedals your car will use a fluid to transmit a force which your tires will then use to create a friction that will ultimately slow things down. Understanding the full extent of the technology behind brakes requires a great deal of knowledge but what even the most novice driver will know is that without your brakes your car won't function but how many are aware of what they can do to ensure their brakes remain in prime working condition? The condition of your brake pads is essential and as a driver, it is crucial to ensure that you maintain and regular monitor this not only to ensure the smooth operation of your vehicle but to improve your safety on the roads. One of the crucial ways of doing this is by knowing just what your brake fluid is, what it does and how you as a driver can use it to determine just how well your brakes are operating. 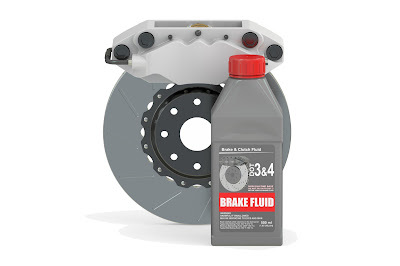 Brake fluid has many responsibilities but its primary focus is the corrosion protection and lubrication of brake systems. Without the fluid, your hydraulic brake system will not be able to operate. Brake fluid is held in a fluid reservoir. 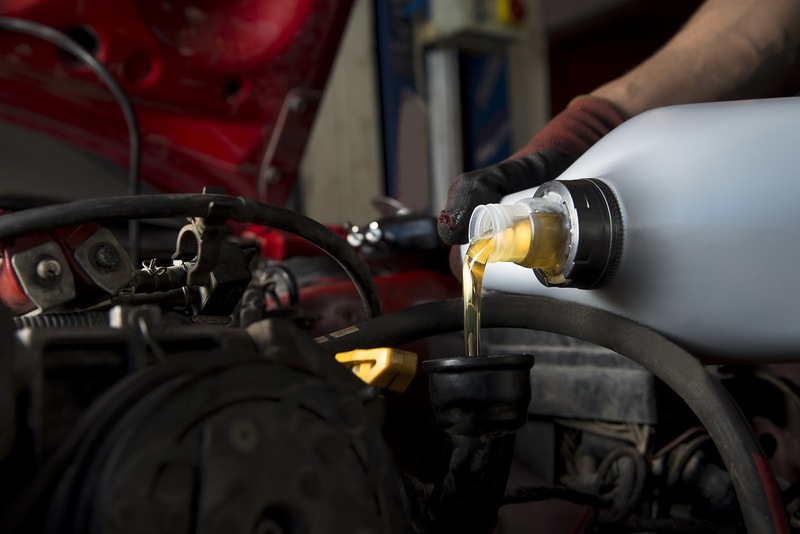 Adding fluid is generally not part of a standard vehicle service. Low fluid levels or a sudden drop can be an indicator of several issues including low brake pads that may need to be changed. On a few occasions air may enter the brake line. Bleeding the brakes can improve this condition however if your reservoir is struggling to contain the liquid then you may need to get it checked by your mechanic. This may not work with newer vehicles so check your manual before doing anything. Brake fluid must never be substituted with any other fluid. Become familiar with the brake reservoir so that you can easily check your fluid. There will be a "full" mark which will give you an idea of what level your fluid is at and what it should be at. If your fluid level falls below the "add" line then you may need to have your discs checked. As the car owner you should have no issue in topping up your fluid however if you have any other issues or any general concerns over your brakes then you should see a professional. Getting from a to b is important but doing so safely should be on top of your list! By knowing as much as possible about your brakes, how they function, what role the right fluid plays and any issues that can occur you have a great chance of ensuring your car remains in the best condition and you as the driver are as safe as possible. The Insurance Institute for Highway Safety is known for its ratings of new vehicles, but for many families, a brand new TOP SAFETY PICK or TOP SAFETY PICK+ isn't in the budget for a teen's vehicle. With that reality in mind, the Institute regularly publishes a list of affordable used vehicles that meet important safety criteria for teen drivers. - Young drivers should stay away from high horsepower. - Bigger, heavier vehicles are safer. - Electronic stability control (ESC) is a must. - Vehicles should have the best safety ratings possible. With that reality in mind, the IIHS regularly publishes a list of affordable used vehicles that meet important safety criteria for teen drivers. There are two tiers of recommended vehicles, best choices and good choices. Prices range from about $2,000 to nearly $20,000, so parents can buy the most safety for their money, whatever their budget. When most people think of joy, they usually think what you might expect them to: warm beaches, gatherings of friends, marital bliss, or for the adventurous, the rush that comes from parachuting from an airplane or reaching a mountain peak. All of that is fine and can really bring anybody a great deal of happiness. However, for us gear heads and motor vehicle enthusiasts, joy hides in places most people wouldn't really expect: the feeling of driving a stick shift, the slight drag you feel as your tires momentarily slip on an off road dirt patch, and the fresh feel of a car right after an oil change. That's not to say that an oil change will make a car feel noticeably different to everybody; that's a joy reserved for the real aficionados. However, it's undeniable that there are a myriad of benefits to getting your oil changed regularly. So, for the people who are not as up to speed, here's a quick list of the ways this vital procedure will benefit your vehicle when performed regularly. A fresh change of oil in your vehicle has a tremendous effect on your car's performance. A vehicle's engine consists of a wide variety of moving parts. Oil is the lubricant that keeps all of these parts from harshly grinding against one another, which over time causes the whole system to run more slowly. With a fresh coat, you'll see a great increase in horsepower and a much smoother, quieter operation. Once again, when an engine's lubrication is not up to par, all of these moving parts start to grind against each other. This not only damages the component parts, but it also requires a great deal more energy to operate. When everything is running smoothly, the parts move with less resistance, and you'll find that you spend much less on gas than you were before. In the course of the normal operation of an engine, a certain amount of dirt and debris begins to develop. All of that extra stuff ends up floating around in the oil, and if you allow it to sit for long enough without a change, you'll find a great deal of random particles that can cause damage. A fresh oil change flushes all of that stuff out. Like everything in a motor vehicle, engines die after some time. This is going to happen eventually, no matter what you do for your car. Keeping everything fresh on a regular basis mitigates all of that damage, and though you won't completely eliminate wear and tear, you'll find that it will last far longer than it would otherwise. So you see, regular oil changes are essential to the overall health of your car or truck. Check with your mechanic for recommendations on how frequently it should be done. How To Choose A Trustworthy Car Mechanic? How many of you have to face trouble in bringing your car to a mechanic shop for repair and then have a difficult time dealing with car mechanic? Some mechanics are quite difficult to handle, whereas others are easy to work with. So, how would you choose the right one and how to trust him/her with your car? The most vital issue to recollect is that you just ought to never choose a car mechanic on an impulse. Those who choose their mechanic without thinking typically land up regretting the choice, as they get charged with extremely high costs and have to get services which is not close to skilled. That is why it is vital to search for an expert as soon as you get a new car, even if your vehicle does not need any repairs at that point of time. By doing this, if your car would ever need any repair works, you may apprehend specifically wherever you are going to take your car, so you do not need to choose a car mechanic on an impulse and end up regretting the decision. Most people assume that every mechanic shop is dirty, filthy, unorganized place, however this might not be true. Though, most garages might appear to possess a thin layer of dirt or grease on everything, but that is a bit expected. However, there is no excuse for a mechanic to have an unorganized garage. They must be aware where all of their tools are so they can get them instantly, also the elements that they need. They ought to even have a clean place for people who are expecting their vehicle to get repaired in a short period of time. If the car mechanic's garage is filthy, unorganized, and uses old tools, you'll need to consider visiting some other more professional garage. One thing the general public forgets while selecting a car mechanic is that they work in the industry. This implies that they have to produce a high quality service for you, their client. Once you are looking at which car mechanic you are going to pick to be your mechanic, take specific note on how the mechanic, and any workers in that garage, behaves with you. Is the car mechanic polite to you? Do they answer all the queries you made about your car? A good car mechanic should be well aware of how to deal with his/her clients. What does it mean when your check engine light comes on? 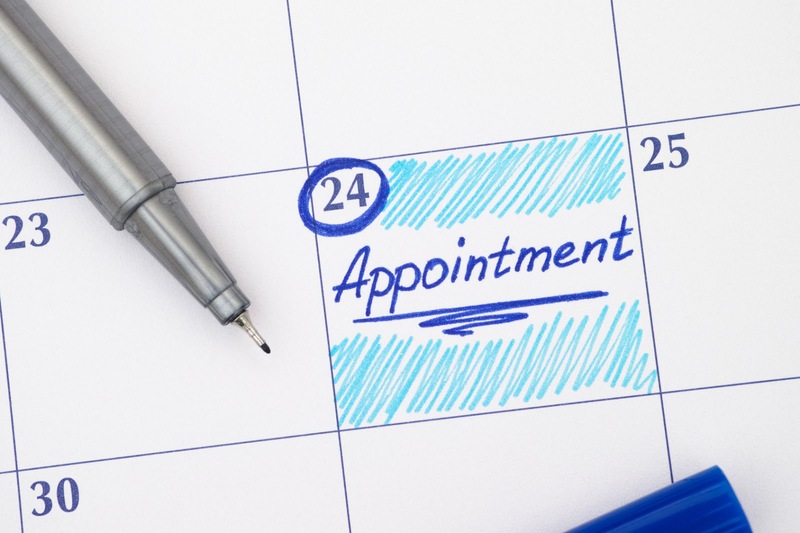 When you make an appointment for car repair, it isn't like making a doctor's appointment. It doesn't mean that at the exact time, your vehicle will be examined. What it does mean is that you are going to be coming in and talking to a professional at that time about the issues that you are having and what can be done to remedy them. Many people that skip making an appointment can end up frustrated because they aren't running through the system smoothly. Because you don't know exactly what your vehicle will need, you may not know how long it is going to take. Try to choose a time that will work well for you. Is there a day that you drive less? Is there a time that will fit into your day? If you have these details in mind when you call, you will be able to tell them when you would like to come in. Call the number of the local shop and let them know that you need to make an appointment for a car repair. They will ask you questions about the vehicle and what types of problems you have noticed lately. Do the best that you can to answer questions accurately. The more information that you give, the better able the technician will be to diagnose your concern. Also, if you need any maintenance done, consider asking if it is possible to have it handled at the same time. While you may be without transportation for a little longer, it will save you from making a separate appointment and coming back in. When you drop the vehicle off for the car repair, you want to make sure that most of your personal items are removed. Anything such as CDs, electronics, or any other items of value that you keep inside are best to just take out. If there is a lot of clutter, be sure to remove it so that a technician can easily get it and out of it. Before you drive up, it is a good idea to have everything that you will need packed up and ready for you to remove when you exit the vehicle. Arrive a little early for your car repair appointment. Because other customers are going to be there and there is usually a lot going on, if you come a little bit earlier, you aren't going to feel as rushed. Grab the belongings that you will need and meet with the person responsible for writing up your car. They will want to write down some of the important information including the VIN number, the miles on the odometer as well as the condition of the exterior. Be sure that you have arranged for some type of transportation from the shop. If you don't think that the visit is going to take long, you can always wait and bring something to work on. Don't have much to do? Consider turning the wait into something relaxing. Bring some music to listen to or you can pull out a book that you have been meaning to read in the waiting room.